QUETTA - The former DIG Naeem Kakar of Police has been martyred by unknown gunmen on Pishin Stop, Balochistan. According to a news report, the terrorists opened fire on former DIG Naeem Kakar of Crime branch near Pishin Stop, injuring them severely. Later, he was shifted to CMH in a severe critical condition where he took his last breath. The retired DIG was targetted by unidentified armed men when they were going home after mosque prayer, Police said. This is not the first time in which a Police Officer was targeted by Terrorists in Balochistan. Many of such kind of incidents have been reported in past. The main perpetrators behind these target killings are 'Taliban'. 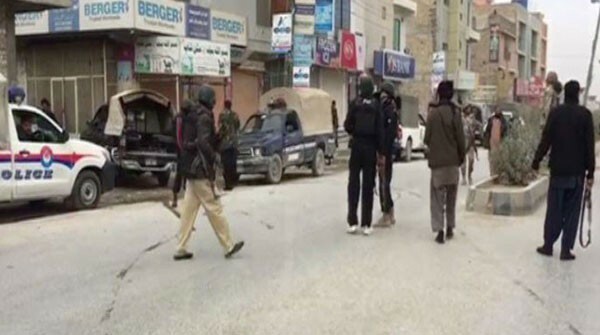 After the firing incident, the police surrounded the nearby areas and started combing operations to arrest the terrorists.